Margot Robbie made her baseball bat-wielding debut as Harley Quinn in last year's Suicide Squad and fans have been clamoring for more Robbie ever since then. 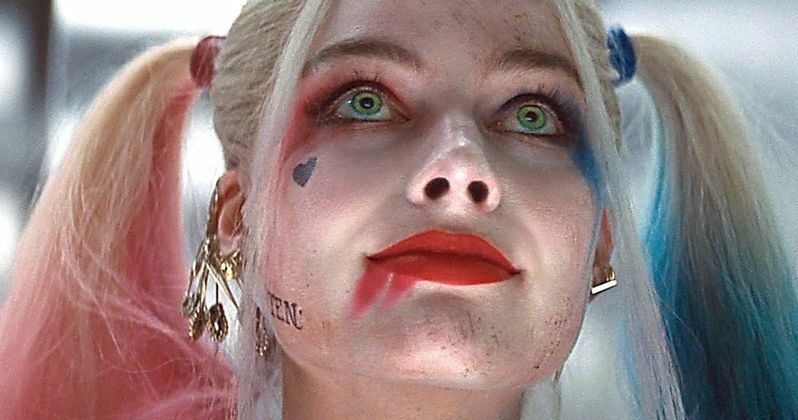 Fans of Robbie's portrayal of Harley Quinn are in luck as Warner Bros. has announced 3 projects that are set to include Harley Quinn, but which one will she show up in first? As it turns out, Robbie seems to know as much about the DCEU chaos as we do, which is a little disheartening and further proves that there is some chaos going on behind the scenes. Though fans and critics tore Suicide Squad apart, one bright spot that most could agree about was Robbie's portrayal of Harley Quinn and the studio quickly picked up on that fact. A sequel to Suicide Squad is in the works with Gavin O'Connor on board to write and direct, which was announced late last week. Another project featuring Harley Quinn is the Gotham City Sirens project as well as the Joker and Harley Quinn movie, which was recently officially announced. To further add to the confusion, Warner Bros. also announced a standalone Joker spin-off that will take place outside of the DCEU and reportedly will not feature Jared Leto as the Joker. Margot Robbie recently sat down with The Wrap to promote her new movie I, Tonya and the interviewer asked her what was next on her plate. The Australian actress said that Harley Quinn could very well be the next project. She had this to say. "I think next year I'll be back in the fishnets wielding a baseball bat. I hope." While hardly a definitive answer, things got even more confusing when Robbie was asked which of the 3 projects that she would be starring in first. Robbie explains. "Your guess is as good as mine at this point. I don't know." This is interesting. Neither Margot Robbie or Jared Leto knows what exactly is going on at Warner Bros., which is a little strange considering that they are the stars of the next few movies. Leto said that he was confused by the decision to make a standalone Joker origin story and that he was caught off guard by the announcement. Robbie seems to be just as in the dark when it comes to what exactly is up next for Harley Quinn. It seems that Suicide Squad 2 will be the next movie to feature Margot Robbie as Harley Quinn after reports that the project has been put on the fast track. At this point in time, it seems that the earliest that Suicide Squad 2 could begin filming is next fall, which would fall under Robbie's timeline. It has also been rumored that the Joker and Harley Quinn movie will take place after Suicide Squad and that Gotham City Sirens is still for sure happening, but we just don't know when. At this point, it's all just speculation on our part as well as the actors starring in the projects.